Guangzhou Automobile Group's booth at the 2016 Beijing auto show. The Globe and Mail reports the automaker is looking at a 202 launch in Canada. 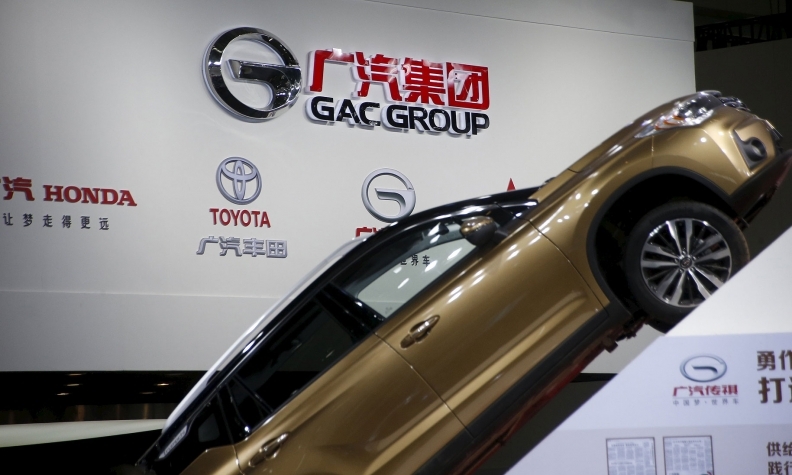 Chinese automaker Guangzhou Automobile Group Ltd. has aspirations of entering the Canadian market in 2020, according to a report in The Globe and Mail. It plans to launch in the United States in 2019 and follow suit in Canada the next year. Meanwhile, the newspaper also said executives from fellow Chinese automaker SAIC Motor Corp. Ltd. are in Canada this week assessing the market. SAIC is one of the largest automakers based in China. The Globe reported that SAIC representatives told auto industry sources who met with the Chinese company that it appears to be in the early stages of studying the Canadian market. The report comes less than two months after Ontario’s former trade minister, Sandra Pupatello, called on Chinese automakers to invest in Canada.